This blog article was written by: Prashant Jeewa. I recently attended the ESTEQ's FEA101 course - the practical Finite Element Analysis (FEA) course which focuses on linear static, buckling and modal analysis. If you are unfamiliar with the world of FEA, a simple explanation would be that it is a numerical method that is used to solve physics and engineering problems. FEA software was developed to digitally solve such problems. This ultimately results in red, green and blue pictures which aren't only pretty but saves you from sleepless nights and probably a couple of trees in the process. Sounds good, right? Here’s the catch, like any software, the Finite Element Method has rules and methods that will lead to the correct answer but an untrained user could make the smallest mistake which could have dire consequences. It is for this reason that I attend the course and am tremendously glad that I did. The course covered the theory behind FEA, and although I did not study it at university, I was provided with the fundamental knowledge required to use FEA software and avoid fundamental mistakes. The course was product independent, meaning that it could be completed using any FEA software. Another major perk of the course was that it was presented by an experienced and passionate instructor, Paul Naudé, who went the extra mile to ensure that everyone was on track with everything. With his previous experiences, he could not only give real-life engineering examples on the uses of FEA but also on the world in which the software is being used, expanding on the engineering judgment needed as well as an emphasis on time, cost, and quality. The exercises involved in the course were extremely helpful and with the help of Paul, the concepts and methods were easily understood. The emphasis on asking the right questions. Asking the right questions before beginning an FEA model will save you a lot of precious time. This doesn’t only apply to modeling the components but also solving time. The fundamental theory of the Finite Element Method. This made all the course significantly more comprehensible. This resulted in completing activities by not just clicking the mouse but understanding what you are doing and why. The implications of solving time. The solving time can exponentially increase when using a more complex geometry, for example, a 2D surface compared to a full 3D solid. Solving times can range from a few seconds to a couple of times based on the complexity of the FEM model. Knowing how to simplify a model and manipulating the geometry can save you valuable time. 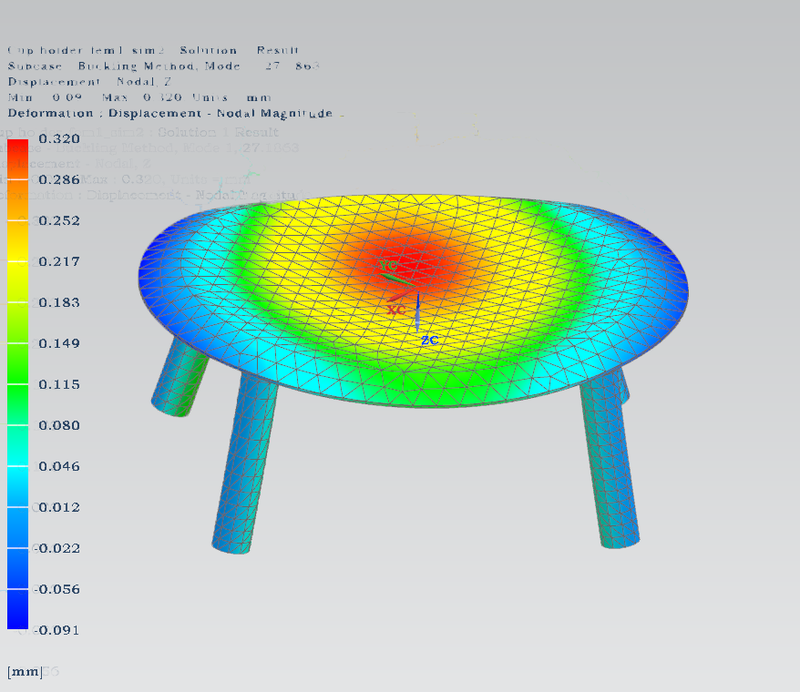 The limitations of Finite Element Analysis. The major limitation of any software would be the user. Knowledge of the typical errors and an emphasis on the vital inputs such as the boundary conditions minimize the common mistakes associated with FEA. These aspects were explained thoroughly in the course and provided the trainees with a method of identifying an error and recognizing where the root of the error is. The course was not specific to one software. The content that was covered was universal but the exercise booklets that were provided were specific to the software the trainee was comfortable with. Great! Asking the right questions and knowing the limitations of the method is critically important. Copyright © SIMTEQ Engineering (Pty) Ltd.